The Martian has had a successful run in cinemas across the globe, with an official game being released on both the Android and iOS platforms late last year for $2.99. Now as it stands, iPhone and iPad users have the chance to grab the official game for absolutely free from the App Store as a limited time offer. 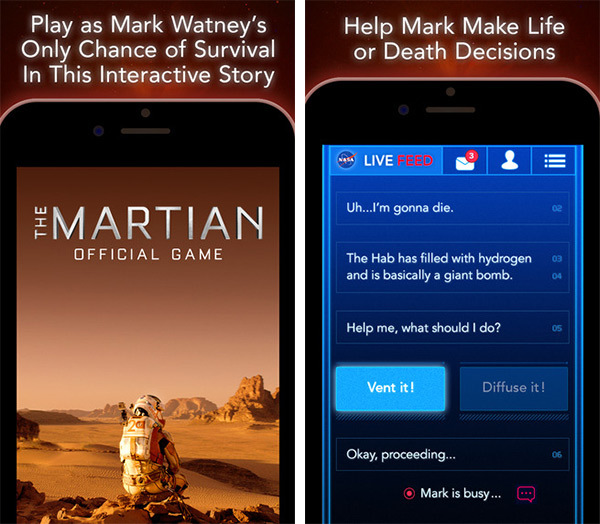 Official The Martian title for iOS offers a unique take on gaming by adopting an interactive and text-based gameplay. The concept however is one as you would have already imagined if you’ve seen the movie; Mark Watney, the NASA astronaut, is stranded on Mars, and you are the only contact who can help him survive the predicament that he faces on the red planet. The game evolves in real time as the help and advice you message over to Mark ultimately dictate how the story develops, which does include Mark meeting his end if you provide him with the wrong information. Such text-based games definitely have an element of thrill and suspense, and as such waiting around for Mark to report back on how your advice panned out, definitely makes you feel like you’re in the middle of it all. The decisions you make in the game cannot all be based on a whim, and as the developer tells us, there is actual science involved here. “Provide Mark with the right advice before time runs out. Remember, science matters! The wrong information could put Mark’s life in jeopardy.” Along the way, you will be unlocking access to a team of experts that will help provide some valuable input and information upon which you will be basing your decisions and ultimately effecting Mark’s fate. The team behind the title has also thrown in support for the Apple Watch. 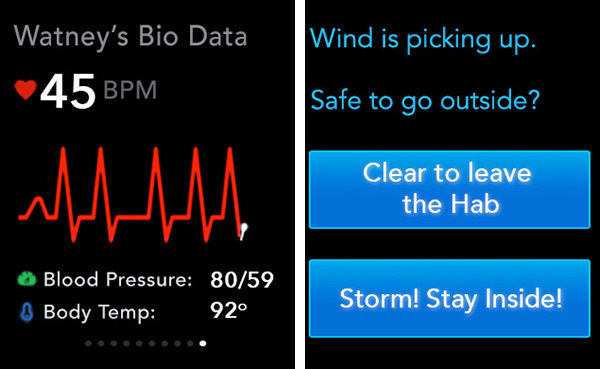 If you own the Apple wearable, you will also be able to view and track Mark’s vitals in real-time on the Watch to make sure that he is healthy and safe. Additionally you will also receive all incoming messages as notifications on the wrist-wear, while decisions can also be passed on directly from the wrist as well. 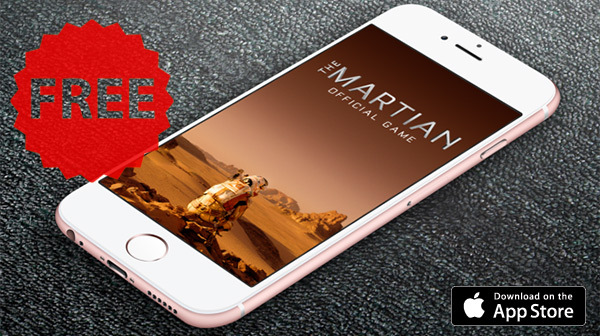 The Martian does not contain any in-app purchases either, making it a full experience. The game requires iOS 8 and above, and is compatible with iPhone, iPad, and Apple Watch.